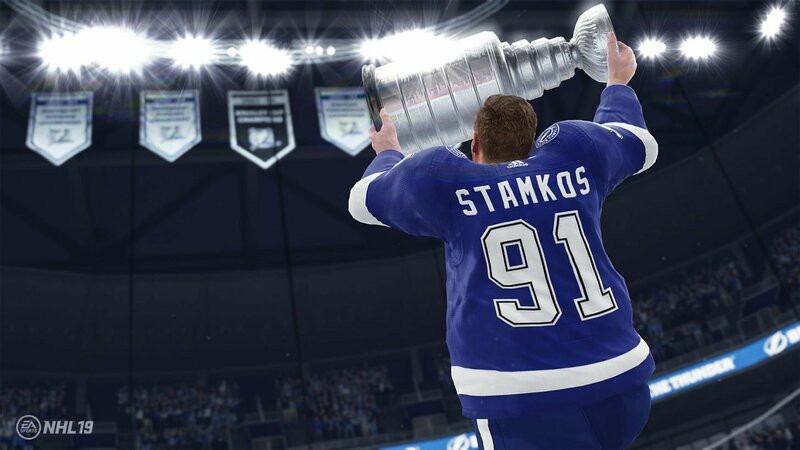 According to EA Vancouver, the developer responsible for NHL 19 and past iterations of the franchise, the Tampa Bay Lighting will win the 2019 Stanley Cup. The annual simulation takes place just before the start of the playoffs and predicts who will take home Lord Stanley’s mug, as well as a few smaller forecasts, like the Conn Smythe winner. Checking out the simulation bracket shows a few interesting events that would be rather surprising if they came to pass, such as Colorado knocking off the best team in the Western Conference in the first round, the Calgary Flames. In the Eastern Conference, it has the Islanders beating the Penguins in the first round. Despite the Islanders having a better regular season, this would be a shock to objective hockey fans given the playoff experience and firepower of the Penguins. After an awful start to the season the St. Louis Blues continue their obliteration of the rest of the league by knocking off three Stanley Cup contenders in Winnipeg, Nashville, and Las Vegas. They ultimately lose in the finals to Tampa Bay, but I would personally be surprised to see them make it out of the Western Conference. 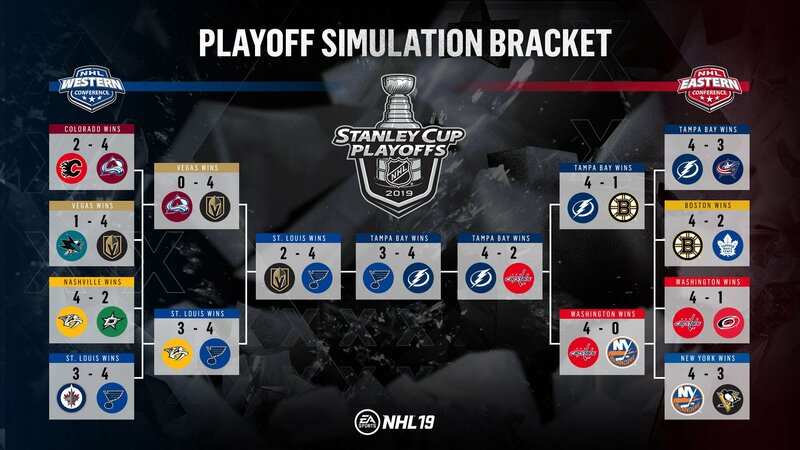 While the Tampa Bay Lightning will win it all according to the simulation, the Presidents’ Trophy curse must be factored in. Since the Presidents’ Trophy was introduced in 1985-1986, only eight teams with the best record in the NHL regular season have gone on to win the Stanley Cup. In fact, the last five teams to win it have not won the ultimate prize, with the last team to do it being the 2012-2013 Chicago Blackhawks. I’m skeptical to call this a curse, however, as the Stanley Cup Playoffs is the most grueling tournament in sports and talented teams are often dispatched by those willing to bleed, lose teeth, and break bones to hoist the Stanley Cup. With their loss, the St. Louis Blues remain tied with the Toronto Maples Leafs for the longest Stanley Cup drought in league history. To read about some other predictions in more detail, visit the NHL 19 blog post by EA. You can also keep it locked on Shacknews for more NHL 19, and of course NHL 20 when it’s inevitably announced and given a proper release date.